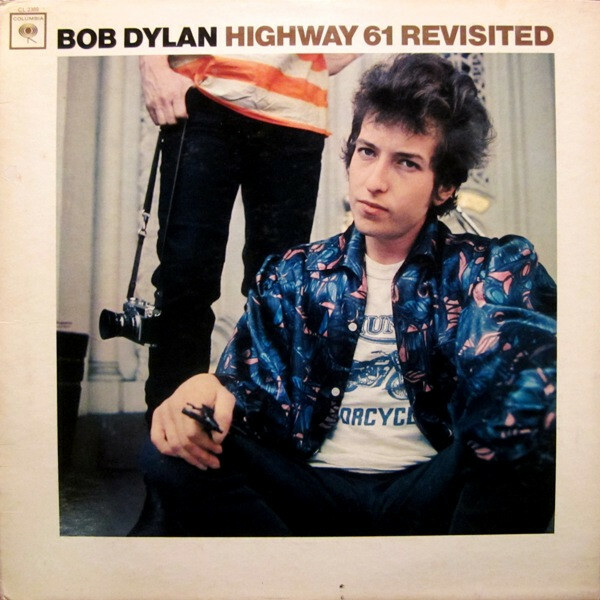 Bruce Springsteen described the beginning of "Like a Rolling Stone," the opening song on Highway 61 Revisited, as the "snare shot that sounded like somebody'd kicked open the door to your mind." Folk singer Phil Ochs was even more rhapsodic about the LP: "It's impossibly good… How can a human mind do this?" There’s been so much written and said about each and every one of Bob Dylan’s albums that it’s all too easy to wind-up lost in the vast, labyrinthine myths surrounding them. One of the biggest is the whole shock-of-the-new deal, otherwise known as the day the earth stood still when Dylan picked up a Stratocaster. It seems ludicrous now that there could be so much ballyhoo over his decision to play some tunes with a rock group, especially when, even by the standards of the day, it was fairly innocuous rock music at that. Still, escaping fundamentalists from whatever cult they belong to is no bad thing, and it was a newly-liberated Dylan, just days after his controversial appearance at Newport, who recorded Highway 61 Revisited with a rock band in tow. This is the point where Dylan planted both feet firmly on the ground that had been partially turned on 1965’s Bringing It All Back Home, and started digging in. It’s easy to overlook the testy brilliance of “Like A Rolling Stone “on account of its having been part of the musical furniture for the last forty years. Yet the fresh air and fresh ideas, whistling alongside Al Kooper’s soaring organ lines, all add up to this being a 100% classic with one of the great cutting vocal performances to date. Though comparatively muted at an instrumental level, the “Ballad Of A Thin Man” is no less mordant and biting a put-down. Not all imagery tucked up inside those increasingly florid lyrics plays well but there’s no mistaking the attitude jumping out of every last syllable. The abrasive scrape of his voice meets its match on the boisterous shuffle of “Tombstone Blues” with a spectacular guitar break from Mike Bloomfield ahead of the penultimate verse. To these ears at least, Dylan works best when he’s at his most concise. Though the purists may find sanctuary in the acoustic-only eleven minute-long “Desolation Row”, and regard any dissention as sacrilege, such verbosity drags slightly upon an invigorating collection of songs which takes things at a brisk pace.